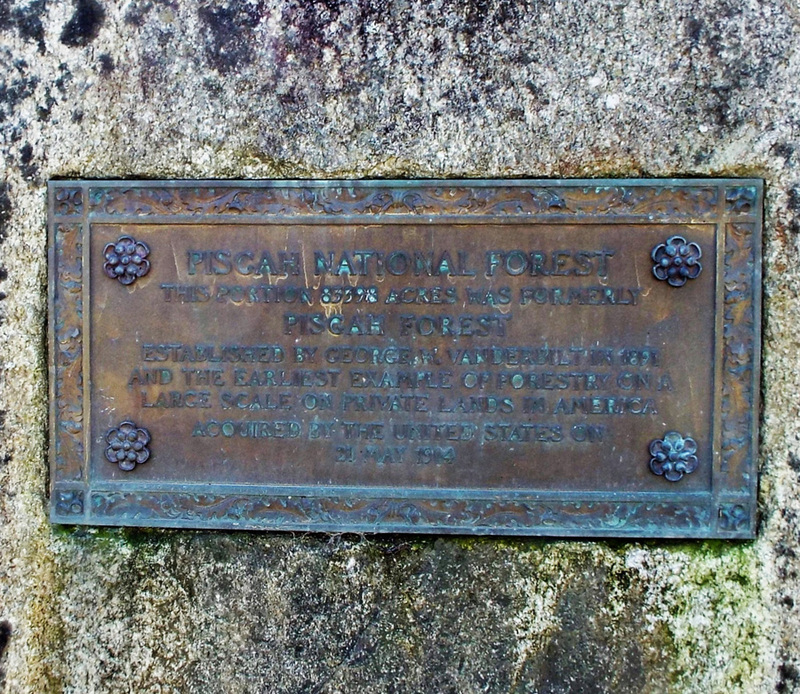 The Pisgah National Forest marker is seven-feet tall by five-feet wide bolder with a bronze plaque. The rectangular 12” X 24” plaque is placed horizontally into the stone and is unadorned aside from decorative framing. The bolder came from the “Pink Beds” located fifteen miles deep into the heart of the forest. The placement of this memorial followed a resolution by the Southern Forest Congress in 1916 to honor the connection of George Vanderbilt with creation of the Pisgah National Forest and development of scientific forestry care. The United States entry into World War One delayed placement of the plaque until 1920. 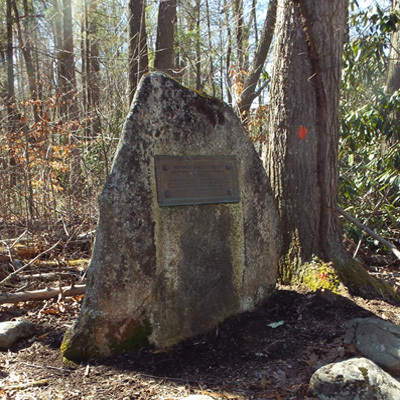 The marker is located at an entrance into Pisgah Forest that is no longer heavily used. Modern interstates and major highways do not provide direct access to this part of the forest but in 1920 it was the auto road to Mt. Pisgah and George Vanderbilt’s mountain retreat, Buckspring Lodge. The Stoney Point Picnic area where the marker is located is seldom used and not well maintained. As a result the maker had become overgrown with vines and bushes. It was restored in 2015 as an Eagle Scout project by Levi Smith of Troop 58 in West Asheville. Smith had discovered the marker while on a camping trip. Biltmore (House) provided support for the restoration with funding and assistance from their conservation staff. 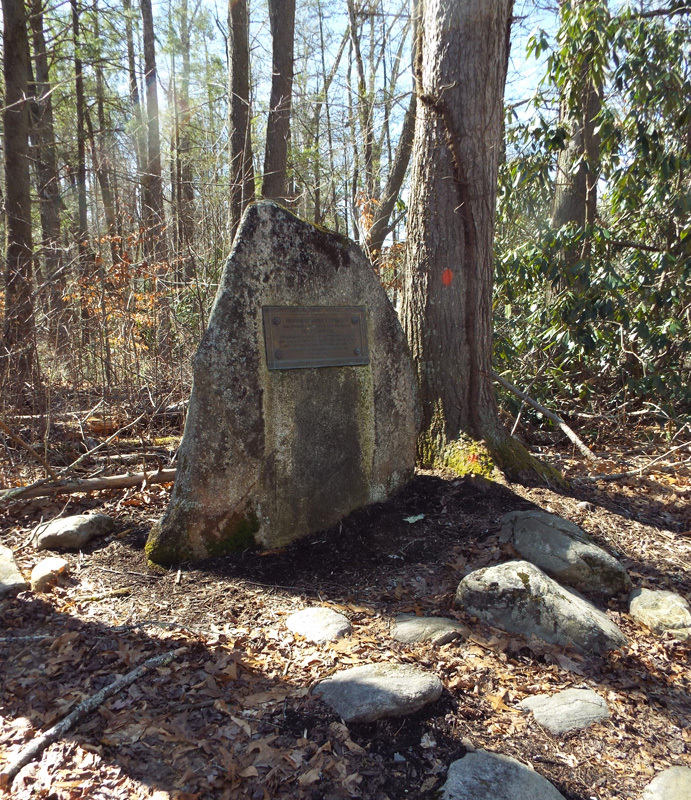 The marker is located across the road from Stony Fork picnic area on South Pisgah Highway (NC 151). It is exactly 7.5 miles down South Pisgah Highway one turning off of US19/23 outside of Candler, NC. 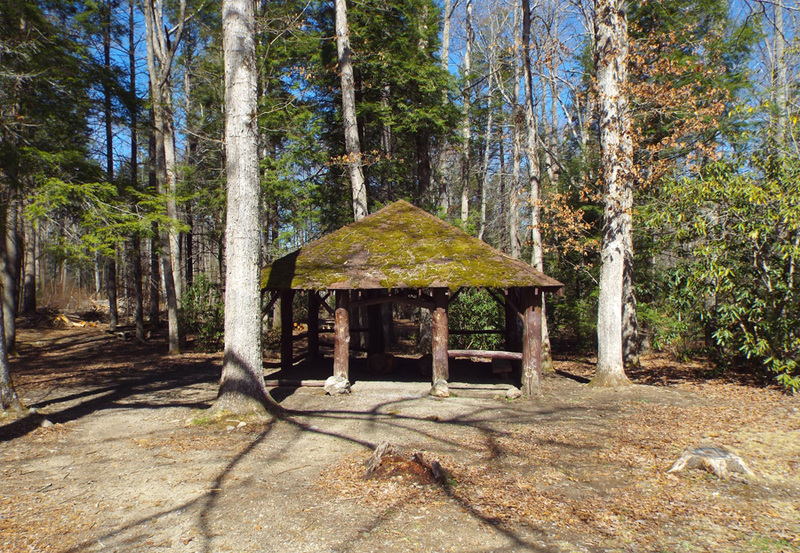 The Stony Fork picnic area is surrounded dense hemlock forest on all sides. Vacation rental cabins are a short distance away.